Soil Association certified organic haricot beans from Suma. This 500g pack is vegan friendly. The Suma Prepacks Organic Haricot Beans 500g product ethics are indicated below. To learn more about these product ethics and to see related products, follow the links below. i've bought this to see how easy it is to cook with the dried beans, instead of the canned version. so far so good, overnight soaking does the trick and you can do anything with them. plus only costing less than £1.50 and will last me for literally months, amazing value. 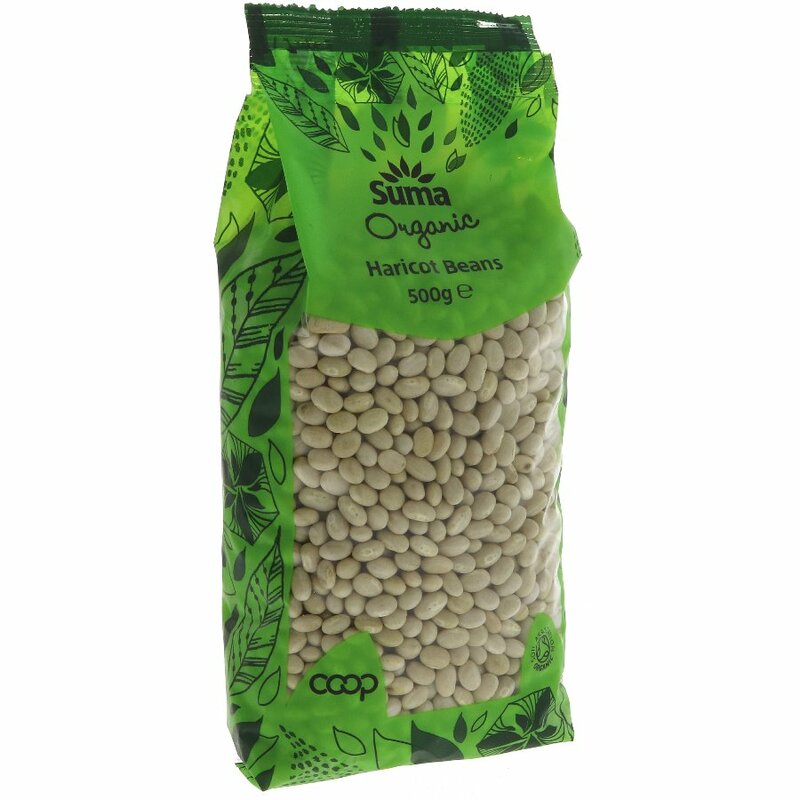 There are currently no questions to display about Suma Prepacks Organic Haricot Beans 500g.